So along comes 2002, nearly 30 years later "maybe this is a mid life crisis" I find that car I feel in love with. 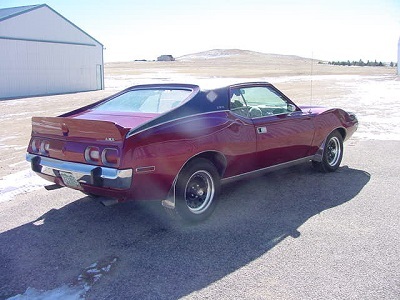 After a ten year search of which only the last year was really a serious search for a 1973 or 1974 Javelin AMX that was in fairly good shape and at a reasonable price. 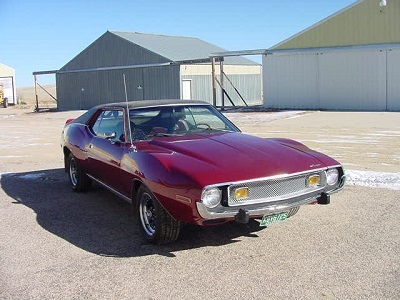 I found a 1973 AMX in Calhan, CO for $5,000 in a classified ad on the internet. After exchanging a few e-mails, receiving pictures and a few phone calls I agreed to purchase the car. So on Thursday April 4, 2002 I flew to Denver, CO. rented a car and drove the two hours to Calhan to look at and test drive the car. 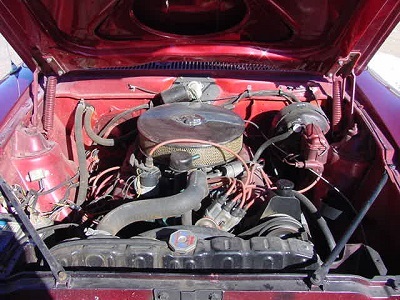 The car was mostly as described so the deal was completed. These are all pictures I received from the previous owner before purchasing the car.